"A restful night's sleep has positive effects on your mind and body, it determines the quality of your life. An appropriate pillow should be able to adapt and conform to your body. A pressure distribution test was performed in Japan, evaluating the "anatomic" pillow in comparison with few others (female, 5'3" - 121 lbs). Test results show a sensible decrease in pressure concentration and a wider contact surface (neck support) when using the Technogel Sleeping pillow." Now if there is one thing I value more than anything, it is sleep. We all know that sleep is very important, and without enough sleep we can suffer terribly. Most people know that lack of sufficient sleep can cause irritability, trouble concentrating and moodiness, but did you know that it can also lead to high blood pressure, diabetes, obesity and cardiovascular disease? Sleep is more than just something we all want, it is something our bodies require to function properly. I am extremely excited to tell you all about a product that I recently had the opportunity to try out: the Technogel Anatomic Pillow. I chose the Anatomic pillow because I primarily sleep on my side, and I suffer from beck and back pain regularly. I hoped that I would see a difference in the way I felt on a day to day basis after using this pillow. I am happy to report that I have seen a big difference in the way that I feel now that I use the Technogel pillow! I love how the pillow stays cool all night because of the gel feature. There is nothing worse than waking up sweating and constantly flipping over your pillow trying to find the "cool side". With the Technogel pillow, flipping is not necessary! It is also extremely comfortable. I fall asleep easily and wake up feeling rested. I have noticed that my neck and back do not ache like they used to, which is an amazing feeling! Hands down, I would recommend any Technogel product to anyone and everyone! I now know what it feels like to truly sleep well, and I want everyone else to experience that, too! By the way, this would make an AMAZING Mother's Day or Father's Day gift! Give the gift of sleep! You can buy your own Technogel products at http://www.technogelsleeping.com/us. One VERY lucky winner will win their own Technogel Pillow!! Visit Technogel, then come back and tell me which pillow you will choose if you should win! Tweet about this giveaway! (Leave your Twitter name and a link) You can tweet this daily: “ #Technogel Pillow giveaway at Opinions of a Moody Mama #giveaway @coopersmommy @technogel http://tinyurl.com/7udw686 PLEASE RT! " I would choose the Anatomic. The Anatomic would be best for me because I am a side sleeper. From Technogel, I would choose the Anatomic Pillow. I am following your blog with Google+. Today, May 11th, I voted for your blog at Picket Fence Blogs. I would like the deluxe. I'd like the Anatomic pillow because I'm a side sleeper. I would pick the contour pillow. I follow on Google+ as Kimberly Colby. I follow Technogel on twitter @Aerated. I would pick the anatomic pillow. The anatomic pillow is the only one that states it is good for side sleepers, and my SO is a serious side and belly sleeper, so I think it would be the best choice for him. I would choose the deluxe pillow. Today, May 12th, I voted for your blog at Picket Fence Blogs. My choice would be the Anatomic model as I'm a side sleeper! I would definitely get the anatomic! 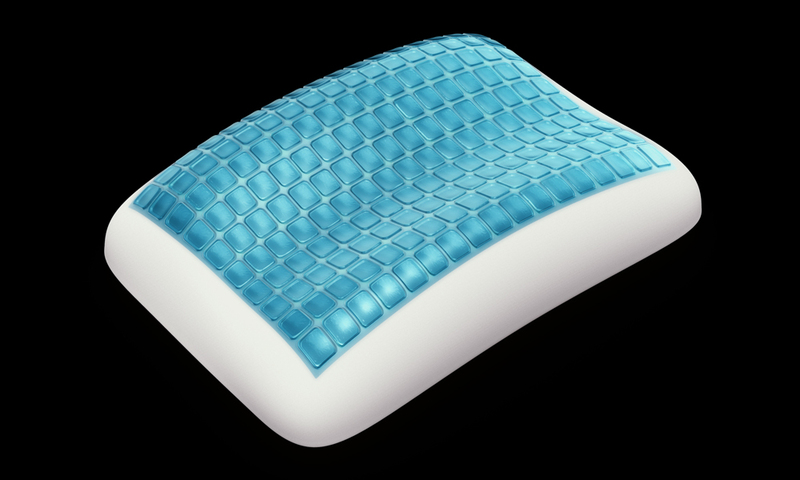 LIKE you on FB- Kimberly F.
LIKE Technogel on FB- Kimberly F.
the anatomic pillow looks cool. Today, May 14th, I voted for your blog at Picket Fence Blogs.